With three major accidents in 2018, autonomous driving has experienced some major setbacks. However, thermal imaging can improve autonomous driving. Also known as infrared imaging, there’s great promise on the horizon in relationship to decreasing the likelihood of certain kinds of accidents occurring again. With the advent of cost-effective sensors, coupled with improved computing capabilities, autonomous driving is no longer simply a concept of science fiction. It has become a quickly-developing industry that is seeing exponential growth. The estimate is, that by the 2030s, fully autonomous vehicles will be a common occurrence on the road. This disruptive technology will have a lasting affect on the economy and lifestyle. Before we will realize the possibilities of adaptation wherein autonomous driving will change our roadways, a few technical hurdles must first be cleared. That ability for the vehicle to fully detect its surroundings must be attained. This will require sensor fusion, the automatic combining of multiple imaging modalities. 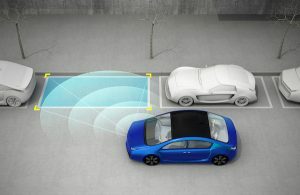 Currently, the typical sensors used in autonomous vehicle designs include radar, LIDAR, ultrasonic, and charge-coupled device (CCD) cameras. With these types of sensors, full environmental detection should be possible. However, as so often is the case, theory and practice diverge, as in the situation with the accidents last year. In January, as well as in March, two Tesla vehicles were on autopilot. One struck a stationary fire truck, and the other a concrete lane divider, the latter causing the death of the driver. Also, in March, an Uber self-driving Volvo, which was equipped with radar, LIDAR, and CCD cameras struck a pedestrian crossing the road in Arizona. The deadly collision was caused by limited nighttime visibility and the radar and LIDAR systems failing to properly detect the crossing pedestrian. The detection rate of this system would have been improved, and the pedestrian’s life likely saved, if only it were equipped with an infrared thermal imaging camera. We specialize in crafting precision lenses for thermal imaging cameras. With your unique design, our engineers and manufacturers will produce the high-quality lens the industry trusts us to create. It’s important to note that this thermal imaging technology is not meant to replace traditional cameras, radar or LIDAR, the laser imaging system already found on most self-driving cars that does the three-dimensional mapping work. Instead, it’s meant to be a passive layer supplementing the recognition software in the car. Thermal imaging offers additional information to existing sensory systems in autonomous driving. The additional thermal information is necessary to detect and classify a target or confirm whether an already classified target from another sensor is likely to be the assigned classification. By implementing IR imaging in autonomous driving, environmental information content can increase, and accidents, like the death of the pedestrian in Arizona, can be avoided.